As simple as it seems, dealing with the keyboard is one of the weirder challenges that many notice the first time they check out virtual reality. Even if you’ve been touch typing for decades, even just figuring out where the heck your keyboard is can be hard once you’ve popped a headset over your eyes and dropped into another world. Logitech, makers of about a zillion different keyboards, doesn’t want keyboards to fall out of the VR equation. So they’ve built a keyboard for VR. It works with the HTC Vive, and brings both your keyboard and your hands into the virtual world. 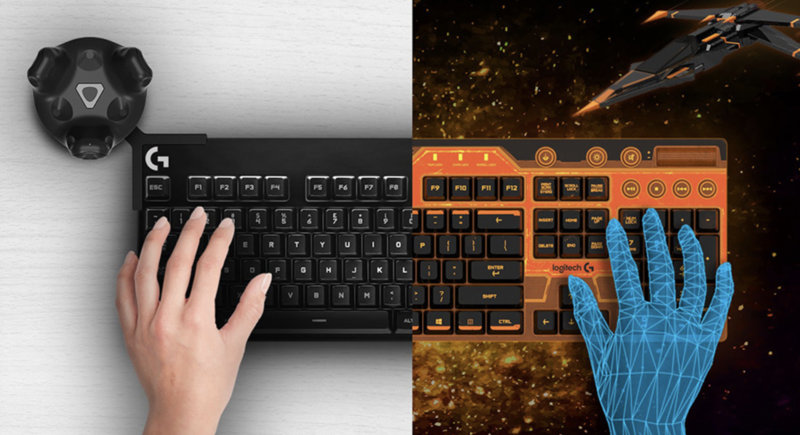 The kit is made up of three parts: a keyboard, a clip that attaches a Vive sensor to your keyboard for position tracking, and an SDK to let developers start tinkering. As the demo video (below) shows, they’ve managed to bring in a view of your hands to overlay over the keyboard, helping you find the good ol’ home row keys. I’m curious as to how they did that; all Logitech has said for now is that they’ve “created a way to use the Vive’s existing tracking” to get it done. The catch: it’s just an experiment for now, and a small one at that. Logitech is taking applications from developers who want an early look from now until November 16th, with plans to send out 50 kits in this first batch. Curious? You can find more details here.